Chances are that if you were linked here from another blogger pal, then you might be new. 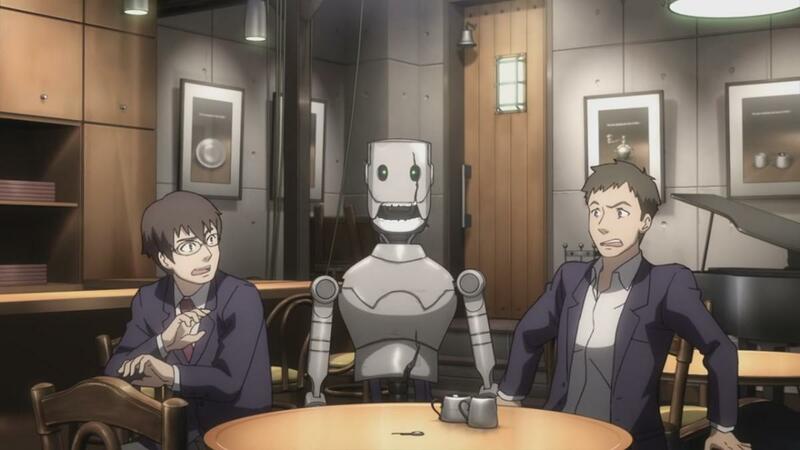 To those first-timers, “Hi, I’m Takuto, welcome to my anime cafe!” As part of the OWLS blog tour’s seventh monthly topic, “Mirrors,” I decided to incorporate what would have been my standard Time of EVE review into this reflection on artificial intelligence and robotic spirit. “Magic mirror, on the wall—who is the fairest one of all?” When we look in the mirror, what do we see? Do we see ourselves or someone we don’t want to be? For this month’s theme, we will be exploring some of our favorite anime and other pop culture media that redefine individual beauty—inside and out. Some topics we may explore are physical appearances, social expectations on gender, and the importance of self-confidence. I’ve always loved that wicked mantra, so thanks Lyn for the prompt! A brief discussion on the spring 2010 anime film “Time of EVE: The Movie,” produced by Studio Rikka, directed and created by Yasuhiro Yoshiura. Rikuo is just another Japanese student owning an android in the near future. While checking his android’s behavioral log one day, he notices odd check-in and check-out times. When Sammy, his android, finally takes another detour, Rikuo and his friend Masaki head out and stalk her. It turns out Sammy frequents a hidden cafe called “Time of EVE,” and the cafe’s barista Nagi only has one request: that there is no discrimination between humans and androids. 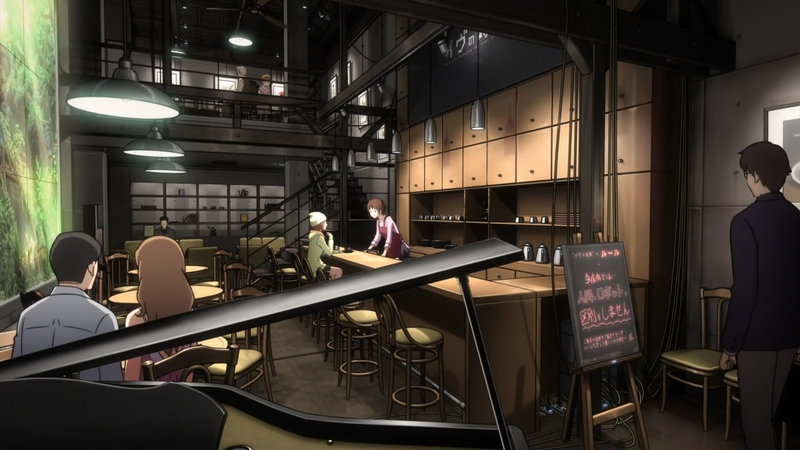 Being the compilation of a 6-episode series by the same name, Time of EVE follows a pretty basic formula: Rikuo and Masaki frequent the cafe in order to uncover more about each of its interesting patrons and, of course, find out just what kind of character Sammy really is. A tale of unrequited feelings, childhood dreams, and understanding comes to fruition. 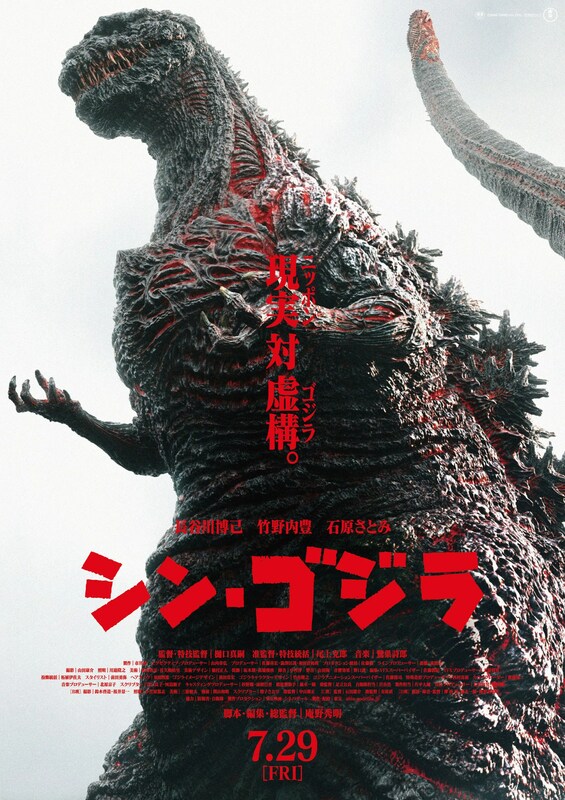 Director Yasuhiro Yoshiura solidified his wacky and weird yet oddly comedic and intelligent presentation style with this one. It’s subtle in execution, but anyone could still identify it as science fiction—and good sci-fi at that. I know people who don’t care for sci-fi that walked away loving Time of EVE, and I think that’s largely because the film aims at much more than pondering ideas like sci-fi does; instead, it goes deeper, showing you that the genre also has a lot of heart once you pull the wires away. The story is touching, sometimes even hilarious with all the sudden zoom-ins, and its visual artistry still holds quite well as a visionary piece even today! Yup, that’s right. Time of EVE so inspirational to me that it inspired the clean and modern look of my cafe here (or at least I hope it comes across this way . . . do I need to remodel!?). If I could spend all of my days writing and reading in one place, it’d be here, at the Time of EVE! Everything just feels so sleek and simple, yet intricate and “underground” at the same time. Like, the coffee (EVLEND) cups, the bar, the tall tables, the ceiling fans, the smooth jazz music—ALL OF IT! It’s just a chill, quiet, aesthetically pleasing place = The perfect kind of place for me. Sammy, what is it that you see in the mirror each morning when you wake up? I’ve noticed that you tie your hair up with a headband, scrunchy, or a flower when you go out sometimes. It’s unusual. You are an android, but don’t let that stop you from looking the way you want to look. Now, Sammy, who is it that you see in the mirror each morning when you wake up? I’ve picked up on your subtle cues as to my tastes, preferences, and mannerisms. Perhaps that’s just the activity log recalling my “most recent selections.” But I like to believe that you’re growing, just like all of us are each and every day. You are an android, but if you find yourself wanting to be happy or sad, angry or surprised, I’ll understand. After frequenting that place you visit, that Time of EVE, I realized that it’s no ordinary cafe, but a safe haven from prejudice and routine. I’m kind of a nerd, one who gets picked on sometimes for saying please and thanks to you, my android, and if I had a place where I could go to escape all of the name-calling and expectations, well, I’d probably be at that cafe all the time, too. We live in a pretty convoluted world. It’s not necessarily bad, but people make it much harder than it needs to be. Why does it matter if you’re an android or a human? If we both value our own lives and only wish to help each other out, then I’d just rather avoid “things or beings” altogether. Sammy, you’re an android, and in this world so bent on exclusion and division, I only wish you the best. The fact that we gaze into the mirror to begin with reveals that we’re only insecure about something, really. But last I checked, androids don’t “feel insecurity,” only assurance in their code. This proves you can be anything and anyone you desire, so do it with pride for not only yourself, but anyone you inspire in the process, like Nagi, Masaki, and myself. For me, however, just please stop looking into the mirror—you look great with that headband on. “Are you enjoying the time of EVE?” I sure am, so much so that I wish I never had to leave, haha! For Sammy, reflection about who she wanted to be came from her experiences with the world around her, a bold fashion decision, and, of course, a secret trip to the cafe. Through the interactions with Rikuo, Nagi, and the other “people” at the cafe, she, an android, found individuality and character for herself, defying the laws of her creators and the social norm—strict servitude to the master. 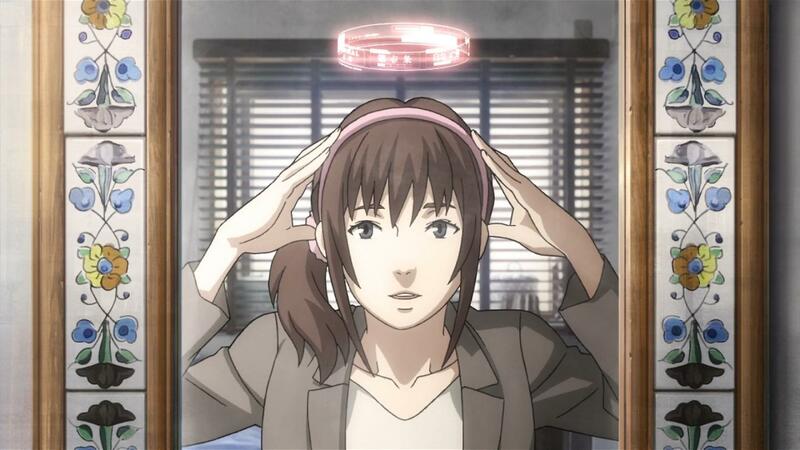 Considering its impact on myself, this blog, and sci-fi entertainment in anime, Time of EVE: The Movie is undoubtedly awarded the “Caffe Mocha,” a film for all those even remotely interested in AI, as well as what it means to be human. It’ll fill you with warm fuzzy feelings for sure. Let me know your thoughts on this post and show if you’ve seen it! Helloooo everyone, so it’s like 4 AM and the only other person awake in the blogosphere right now is freakin’ mirrorpurple. Figures, right? Anyway, it’s been a long festive day, but the party never stops because HAPPY NEW YEAR, minna!!! If this post doesn’t show my dedication to blogging then I don’t know what will. I thought I’d keep this short and sweet because ultimately I’ll be another “2015 Year In” post cluttering your reader, and you’ll be like “Dammit Takuto, I can’t even close the lid on this stupid reader.” We’re all thinking it, no need to sugarcoat it (even though that’s all I do in this café). I just wanna shout THANK YOU from the top of my lungs to all of my café-goers, those quiet and those constantly keeping my mouth running!! I honestly can’t write. I have no experience with it, and I doubt my future occupation (whatever it may be) will involve writing. 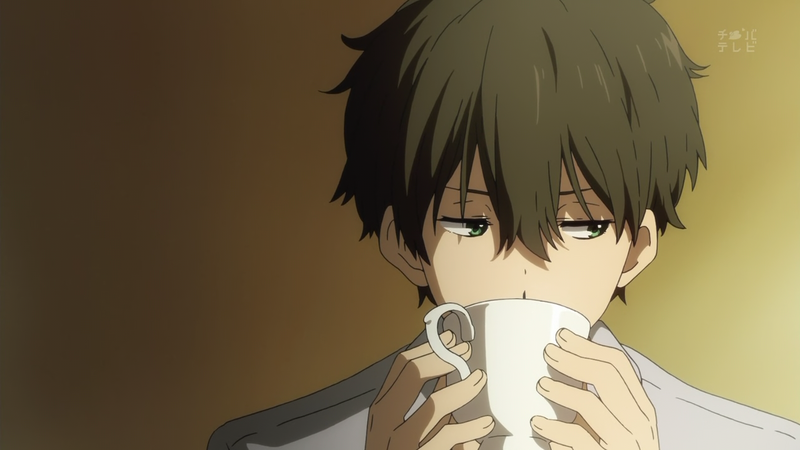 All I can do, and have been doing, is utilizing the skills I’ve learned through school, working and coping with what I’ve got in hopes that my façade as a “brilliant blogger” holds up and I can contribute to the anime community and chat with all you wonderful people. Also, a café isn’t very fun without visitors, is it? YOU have all been my spark for blogging, and though it’s only been what, a year and a half, my friendships with you (Especially you, yeah, you. You know whom I’m talking about) is priceless. I have no New Year’s resolution because I think I swallowed it when I downed a dozen mini-red-velvet and buttercream-frosted cupcakes and Oreo truffles that I made with my sister. If that didn’t do it, then the five glasses of sparkling grape juice certainly did. It’s been a rough year for finding my writing voice, particularly with my reviews, and the hunt is still ongoing. This year, I’d like to find it, so I suppose that would be one resolution. Please excuse the different formats and such. Your feedback fuels my drive, you know? I don’t want to compile a list of all of my active followers because YOU ALL drop in quite often, and I yearn for every new conversation I can have with all of my dearest friends. To my newest followers and viewers, I am delighted and gracious that you have decided to stick around (I must be doing something right)!! To you, I am Takuto, your host at my anime café. It’s just another tiny nook in the interwebs where I can serve you digital drinks and cakes as my thoughts for what we love – Anime. I would cry, but then I wouldn’t be able to differentiate the cause: My overflowing emotions for all of you or the damn brightness of this laptop screen. Probably both. Have the Happiest of New Years! I have a strong feeling that 2016 will be a good ‘un!! Let’s aim for a year full of hearty conversations and memorable moments in this little café of mine 🙂 AS ALWAYS, happy Friday, and until next time, I cherish you all more than words can express!! Good night! The WordPress.com stats helper monkeys have apparently prepared a 2015 annual report for this blog. Check out my stats if you would like! They may be small compared to others, but I don’t care. I’m hella proud of what we’ve done here 😀 CELEBRATE ~!